When we started CROSO 10+ years ago, we had this big idea that if these C.R.O. “kids” I had met in Uganda (all former street children) had access to higher education, they would become incredible leaders in their communities. We believed that each one already possessed the passion, talent, and many of the skills necessary to be an agent of change… and that with the degree, diploma, or certificate that they earned at a university or college, they would be able to transform their communities. These were big ideas. And while we believed them to be true, we knew we would not be able to test our hypothesis for a while… not until our scholars had gone through their programs, graduated, and had some time to grow their careers. Now, 12 years later, we can confidently say that our graduates are making it happen! Today’s blog will serve as a small snapshot about some of the amazing things that CROSO graduates are now doing out in their communities. Keep in mind, these are only 7 stories, whereas we have 24 graduates, so the impact is even greater than what we are sharing here. Whether working in helping professions, or creating a career that brings valuable services or resources to a community, these young men and women have found sustainable ways to create a brighter future! Moses completed his diploma program last June and is still awaiting graduation. In the meantime, he has been volunteering at a health center in Busia District, where he works primarily with HIV patients. One of his focus areas is completing testing and care for babies born to HIV positive mothers. In his role, he is helping to ensure that the babies do not contract the virus from their mothers through monitoring from before delivery through 18 months post-delivery. Moses has always been passionate about working with vulnerable populations and it’s great to see that he’s putting his skills and expertise to such an important issue. Winnie completed her bachelor’s in 2017 and was eager to put her Development Studies skills to work. After seeking employment at several different local NGOs, she found herself at Youth With a Covenant Vision, an NGO based in Mbale that serves vulnerable populations. She began in a volunteer capacity and was then hired as their Program Manager. Her main focus is working with youth ages 15-24. More recently, she has been engaging them with small businesses for self-reliance and independence. In addition to the work she is doing in the community, Winnie is also the proud mother of twin girls. Watching our scholars not only improve the larger community, but also support their own families is such a gift! Norah has had a long-standing commitment to empowering women and girls, so after graduating with her degree in business, Norah found ways to put her passion to work. 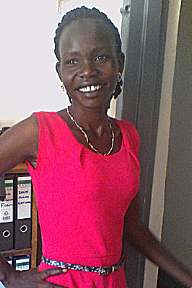 She is now employed at Youth Empowerment Link in Kampala as a Project Officer. In addition to her work there, she is an active volunteer with Plan International, where she is a Champion of Change and recently served as the Event Moderator for the National Young Women's dialogue. Furthermore, she is also on a Coalition Committee for the Safer Cities Project for Adolescent Girls. Hearing about all of Norah’s amazing efforts to raise up the voices of girls and women and create safer communities in Kampala has been quite inspiring! Norah was also featured in an Elle magazine article last year, that you can check out here! George graduated in 2015 and has worked at several different schools since graduation. He is currently teaching at Iganga Comprehensive Secondary School. For the ordinary levels, he is teaching African History classes, and for the advanced levels, George is teaching European History and Christian Religious Education classes. He has been employed at this school for the past two years. While preparing for five different classes was an adjustment for him initially, he is now familiar with his demanding schedule and continues to enjoy his vocation as a teacher. 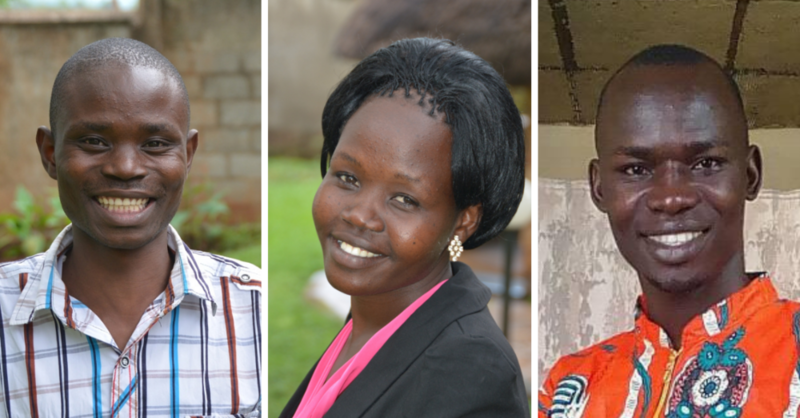 Following John’s graduation, he was hired immediately to work at Duckhill Microfinance Bank in Mbale. He was later promoted to become the branch manager of their office in Pallisa (about an hour from Mbale). In 2015, he was honored with a Best Employee of the Year award and was given a paid trip to any African country of his choice. Last year, he was shifted to a branch in Arua (northwest Uganda) to help fix some management issues. 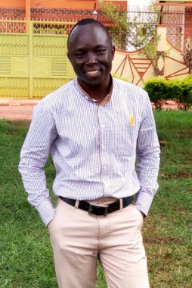 In addition to his 6 year career in microfinance, John also managed to pay his own way through a post-graduate program in Monitoring and Evaluation, where he took weekend classes. He recently learned that he passed all of his classes and is anticipating his graduation from that program in June! Mary currently lives in Napak District with her husband and two children. She has spent the last five years working there for Samaritan’s Purse, an international humanitarian aid organization. Mary’s role for the organization is as a Public Health Educator, where she brings important information to rural communities and helps them implement positive sanitation and hygiene practices. Her influence on countless communities has likely reduced the cases of cholera, dysentery, and other diarrheal diseases. 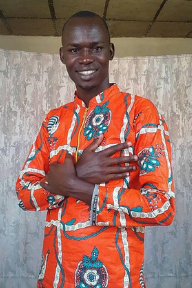 After graduating in 2010, Sam worked for several different solar engineering companies, mostly based in his home district, Lira. He began as a technician, then became a branch manager, and now he has separated from those companies and started a business of his own, E.S. Solar Energy Solutions Ltd. With his new company, he has been able to employ additional technicians, create partnerships, and build relationships with clients. Check out this video of Sam, where he shares his own story and meet some of his clients.